As a child, the movie, “The Lion King,” was one of my favorites that would be played repeatedly in my home. “The Lion King” is about a young lion cub named Simba, voiced by multiple actors (Jonathan Taylor Thomas, Matthew Broderick, Jason Weaver, Joseph Williams) throughout the course of his life, who is heir to his father Mufasa. Simba’s evil uncle Scar (voiced by Jeremy Irons) is jealous of Mufasa (voiced by James Earl Jones), as Simba desires to be king of the Pride Lands. After an attempt to kill Mufasa and Simba that results in just killing Mufasa, Simba escapes and later in life attempts to reclaim the Pride Lands. 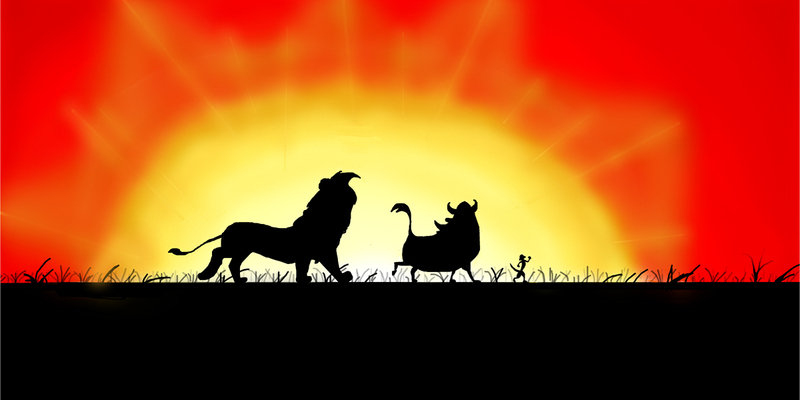 Aside from the relatable life lessons, intriguing animations and brilliant plot, the songs played in the movie such as “Circle of Life,” “Be Prepared” and “Hakuna Matata” are some of the most memorable features. This song probably caught my attention the most for a couple of reasons. For one, it was spooky. Another reason was because the song was featuring Scar’s plan to kill Mufasa and when I first saw the movie, I was wondering what his plan was. While I love the music, the one time I wasn’t so engaged in the songs was when I saw “The Lion King” play in Chicago. I wasn’t as engaged into the music because I was so fascinated by the movements of the actors and the features on stage. With songs from Elton John, Tim Rice and a score composed by Hans Zimmer, “The Lion King” soundtrack will have children and adults singing along. Each song played in the movie tells us what is going on or how a character is feeling. Aside from having catchy music, “The Lion King” also includes music representing the African culture, which connects well with Kenyan culture. Between teaching life lessons and expressing African culture “The Lion King” soundtrack is one of a kind. Chris Hodges is a staff journalist for MBU Timeline. Hodges is majoring in journalism and is currently on the men’s basketball team. Hodges intends to eventually become a movie critic after completing his master’s degree at MBU.